Feeling guilty about leaving your canine companion home when you head off to work or to do errands? Maybe separation anxiety is an issue for your dog while you're away from home? Do you want to socialize your dog with others who are also current on their vaccinations? 1000 square foot playroom, with padded floors, that is clean, safe, and climate controlled. Pre-screening to make sure new dogs play well with our group and have all necessary vaccinations. Frequent outdoor leash walks throughout the day. Climb on structures and toys to keep your dog busy, and resting places for when they want to rest a while. 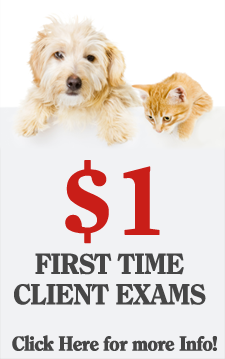 Flexible schedules and a Puppy Pass discount program for both full (10hr.) and half (5 hr.) days. Trained, professional, caring staff who truly love animals. Best of all- Dr. Lainer is on site every day. 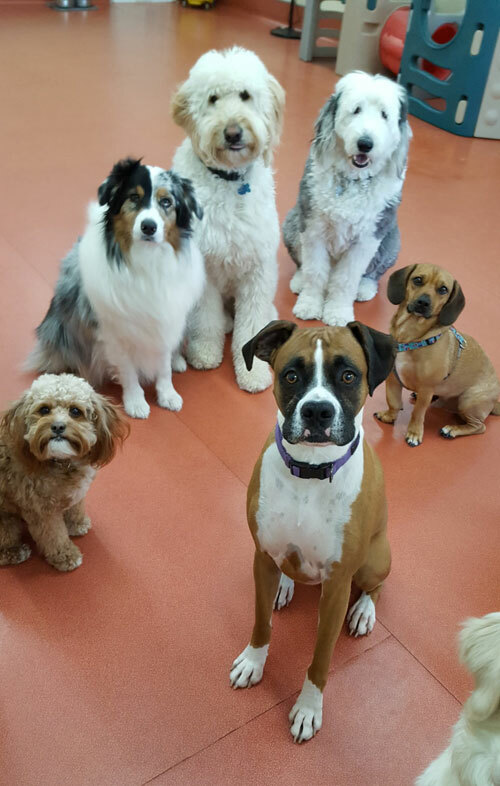 If your dog needs to be seen for a medical issue, or for vaccinations, they can be pulled from daycare for their appointment. Grooming can also be combined with a day of daycare.